When Gilad Shalit was kidnapped more than five years ago, I was almost 17 years old and en route to Israel for the first time. I still remember how the situation deteriorated even further that summer. Now he is free, at home in a country and a world far different than five years before. Personally, I am thrilled that Shalit is coming home alive and at least somewhat well. I also realize that the cost at which he was freed presents both problems and opportunities for Israel and the Palestinians. As for conundrums, Israel has come into conflict with some of its own core values with Shalit’s release. Israel, as well as the IDF, is known for two tenets. One, they never leave a soldier behind. In fact, soldiers in training have to perform the “stretcher march” in which they carry one of their heaviest comrades up hills and down valleys, just to drive home this point of never leaving a man behind. The second tenet is that Israel never negotiates with terrorists. Despite Avigdor Lieberman’s public threat to collaborate with the Kurdistan Workers Party, this too, is almost always upheld, but history has given us exceptions. The case of never leaving a fellow soldier behind, even if behind enemy lines, is one of them. Israel has freed 13,509 people in exchange for 16 soldiers. That’s an average of 844.31 people per soldier. For Shalit alone, 1,027 prisoners were freed, some of them served life sentences for murder. This idea of never leaving a soldier behind, while noble, opens up a very dangerous situation for Israel. Now, every Israeli soldier is a target and can be used to generate ransom for any terrorist group. I don’t have an answer or suggestion as to whether or not Israel should change its policy, but it does merit some concern. It is particularly fitting that this exchange happened near Simchat Torah, where we read the end of Deuteronomy and begin again with Genesis. 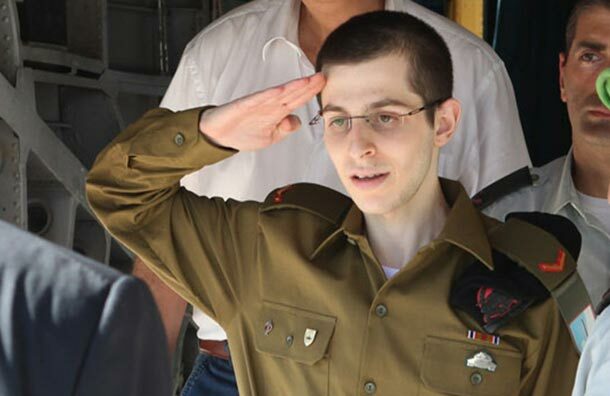 Gilad Shalit’s freedom has the potential to become a symbolic “reset” button on the peace process and Israel’s image in the world. As of late, both the process and Israel’s image have been tarnished. Even if Israel has had successful military campaigns, it is losing the PR campaign in a huge, huge way. Israel’s current popularity or respect within the world today pales in comparison to 2006. For that matter, I don’t remember hearing about “Israel Apartheid Week” five years ago. Now, it’s commonplace. With the release of the prisoners that can change Israel’s image, not to a state that acquiesces to terrorism, but one that is truly committed to peace. You see, as much as it may be clear to Jews who support Israel that peace is the route to long term stability and survival, many don’t see it that way. If Israel is continually forgiving, such as returning prisoners, even dangerous ones, it decreases global criticism of the Jewish state. Additionally, I would argue that Shalit’s return conjures up memories of the “1990s” Israel and of some one like Yitzhak Rabin, who was so committed to peace that he paid the ultimate sacrifice for it. That’s the Israel that showed through Shalit’s release, and if Israel wants to survive 30 to 40 years from now, that Israel needs to remain.